Yookos is one of Africa’s leading social networking platforms that allows its users to get connected from anywhere in the world. The social networking platform has a mobile app that is available for download for Android phones and tablets. Android is one of the fastest growing mobile operating systems and a few examples of mobile phones that use this OS are Samsung, HTC, Sony and LG. 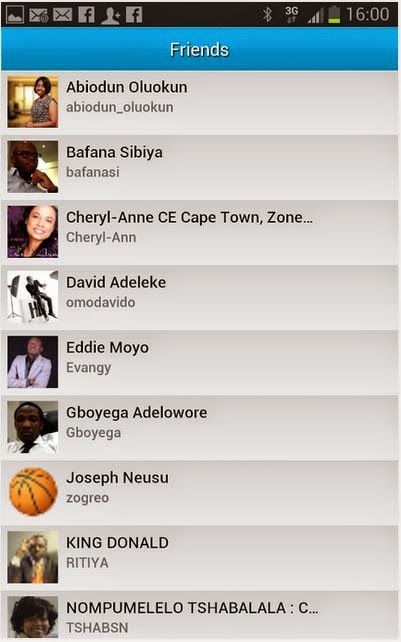 Yookos’ Android app enables owners of Android phones to enjoy social networking services for free. The Yookos for Android app offers a complete suite of exciting functions that most social networking users are used to. The above functions are laid out on an interface that is easy to use on most Android phones. Users can express themselves freely on Yookos. They can use pictures, videos or simple text. They can influence what goes on into the world around them by sharing their thoughts and opinions with their community. This resonates with what the name Yookos represents; an acronym for “You own the Kosmos”. One of the most important functions that makes Yookos stand out from other social networking sites is the ability to blog. Individual users and corporates can create blogs, write blog posts and share them with their communities. Blogs are very important for content marketing purposes. Search engines love content and blogs are one excellent way of feeding them. The reward for this is increased online visibility. On the other hand, brands that aspire to use social media for business can also use this mobile social networking app. Through Yookos, they can reach new customers and engage with the existing ones. Brands can also advertise on the network to reach 30 million plus users on Yookos. Social media is a key driver of business operations and most companies are investing in social marketing campaigns. The free Android app is available for download on the Google Play store.